Input Club might be a name that is not familiar to many, but it is actually a computer hardware setup that has just rolled out its brand new flagship mechanical keyboard that is known as Kira. The Kira mechanical keyboard will boast of a condensed full-size layout, where it is accompanied by artistic RGB lighting as well as bespoke mechanical switches that will certainly place a smile on many a corporate typist or even the budding author, making it a step forward for those who love to type all over the world. 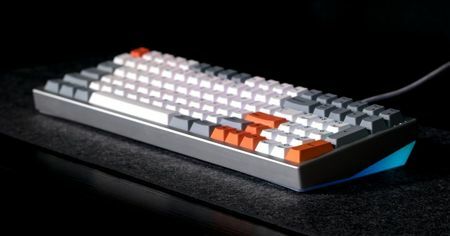 The Kira mechanical keyboard is now a Kickstarter campaign, hoping to raise enough funds along the way to make it a reality. We live in a world where wireless connectivity is deemed to be the norm. Virtually everywhere we go, we are always on the lookout for a wireless network in order to hook up our devices. 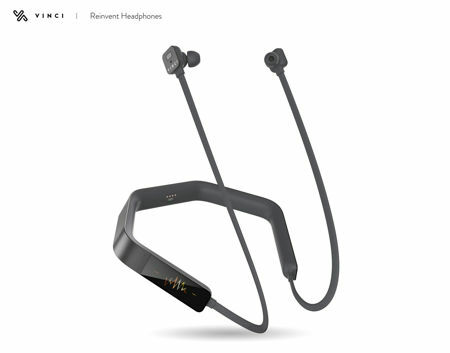 Our printers at home and at the office have also taken a similar route, and so have the fitness industry when it comes to wireless headphones taking centrestage. Vinci 2.0 is proud to stake its claim as the industry’s very first smart in-ear, voice-controlled, hands-free noise cancellation headphones. 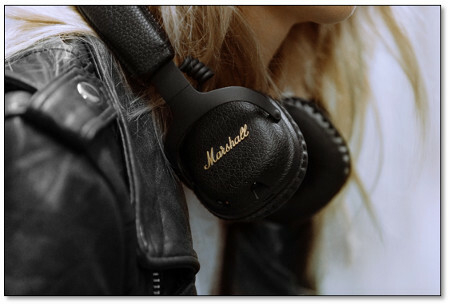 When it comes to headphones, there is a handful of companies out there who churn out winners on a regular basis, and Marshall is definitely one of them. This time around, they have come up with the Mid A.N.C., which is touted to be the first active noise cancelling headphone from the company. Hard to believe that Marshall has been around for so many years, and yet they have not come up with such an offering until now. Better late than never, I guess. Back to the Mid A.N.C. : it will arrive equipped to the bones with Bluetooth aptX technology, enabling it to deliver superior wireless audio all the while dampening the sound in your surroundings. This enables the user to enjoy what matters most, the music that is being played back. The use of electronics in everyday clothing is something that many of us are starting to experience these days, especially in more developed countries. After all, we would love to obtain feedback from different aspects of life, allowing us to be able to be more efficient and productive throughout the day. The Emglare Smart Clothes will certainly make you look at clothing in a whole new light, as it comes with integrated ECG and heart rate measurement, minus all of the bulky form factor that are normally associated with both functionalities. If there is one modern day innovation that we would love to be able to last for a really, really long time without requiring any change at all, it would be the problem with batteries. Just about every single mobile device we use require batteries, and this translates to charging said devices whenever they begin to run out of juice (which is more or less virtually every day). 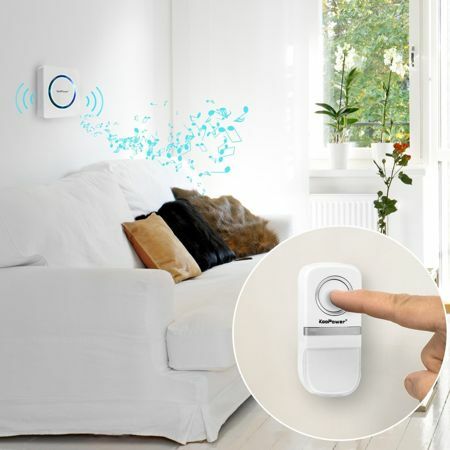 Well, the frustration of dead batteries will certainly not apply to KooPower’s unique wireless doorbell kit, where it does not need any battery at all for the transmitter, which is certainly a positive breakthrough in the industry for this unique household gadget in its class. While we have seen our fair share of smart devices in the past that rely on voice commands through Amazon’s Alexa or Apple’s Siri and other equivalents, the future might not just rely on speaking to your devices and appliances around the home to get them going. Perhaps some of them might work just as well through the use of gesture controls, and this is the main idea that fueled the creation of the AIUR 360° Air Gesture Control Hi-Fi Speaker that has just launched on Kickstarter recently. Touted to be the most advanced gesture control Hi-Fi speaker in the market when it arrives, it is said to be jam-packed with features and functions that will elevate the music listening experience. Want to get fit, but you are not quite sure how you are going to get started? Perhaps getting a personal fitness trainer is a good idea, but that might put a huge dent in your monthly budget. Why not let technology work for you instead? This is where the Hyfit Personal Gym comes in handy, where it has been described to be the world’s first wearable IoT gym that will be able to bring a whole new level of technology when it comes to fitness tracking and personal exercise training. 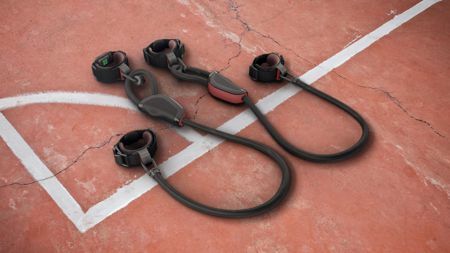 Touted to be a smart piece of workout equipment that rapidly adapts to the hyper-connected world we live in, the Hyfit Personal Gym comprises of a wearable fitness tracker that will arrive integrated with customizable tension cords. This unique combination offers a full body workout program that will guide the user through more than 250 specialized video tutorials. For those who love to tackle rough terrain during their free time, then a 4×4 is a must-have vehicle that will further encourage exploration to places off the beaten path. 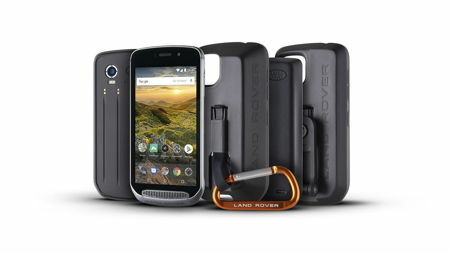 Well, the name Land Rover is synonymous with rugged vehicles that are able to bring you just about anywhere, and the company has decided to work alongside the Bullitt Group in order to develop the rugged Land Rover Explore Outdoor Phone. This handset was specially designed for people who live for adventure and yet require a handset that is capable of surviving whatever it’s put through, making it a notable entry to the world of rugged smartphones. When we think about timeshare programs, most of us would be drawn to the exotic locations of various properties where we can spend some much needed rest and relaxation with our loved ones, at a fraction of a price. However, Duaxi Electronics has something very different in store when it comes to the word “timeshare”, offering the all-new Timeshare Alarm Clock. 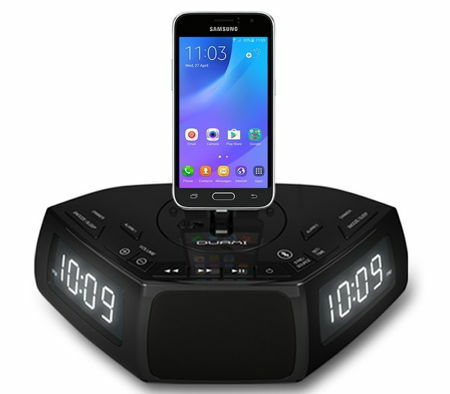 No, you do not have to pay a few hundred dollars every single month just to own part of this particular Timeshare Alarm Clock, but rather, this is a patented alarm clock that will boast of two displays and a dock that will play nice with both Android-powered and iOS devices, making it a world’s first.